Candice Appleby and Chase Kosterlitz have just won the RiverRocks SUP race in Chattanooga, Tennessee. 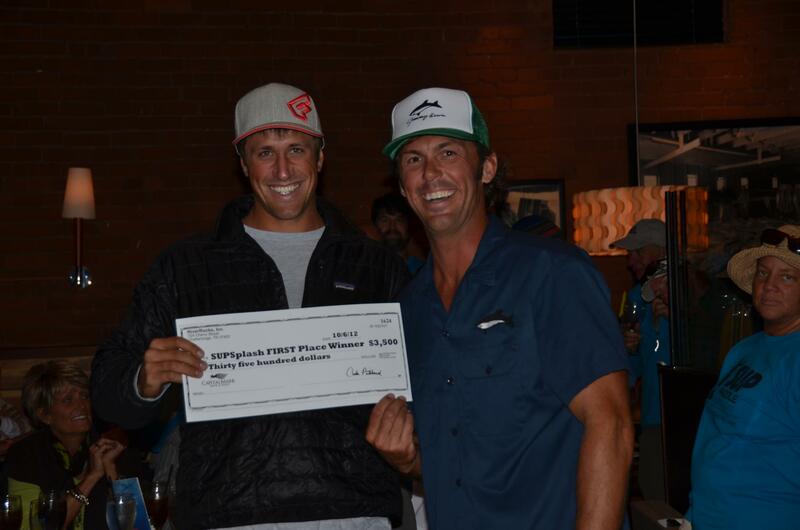 The race, which is part of the 2012 SUP Splash Race Series, offered $12,000 in total prize money. That’s not bad for any SUP race, let alone one that’s held in a town most paddlers wouldn’t be able to spell. Candice and Chase both pick up $3,500 for their wins in the Elite race (there was equal prize money for men and women). Coming in second for the men was Matthew McDonald, making it a 1-2 finish for Team Fanatic, while young gun Bailey Rosen grabbed the runner-up spot in the women’s race. Scroll down for the full results from Saturday’s 2 mile and 6 mile SUP races. UPDATE: Check out this great RiverRocks SUP Race video, including the mad sprint off the line in the 6 mile race.